In 2015, more than 3,400 people were killed and close to 400,000 people injured because a driver put short-term convenience over the safety of other drivers, passengers, and pedestrians. According to the National Highway Safety Traffic Administration (NHSTA), during daylight hours, 660,000 drivers are using a cellphone while they drive. There is simply no excuse for this reckless activity. Drivers who operate their car without putting safety over convenience deserve to be held accountable for any deaths or injuries they cause. At Harris Lowry Manton LLP, our Atlanta distracted driving lawyers have no patience for adults who drive distracted or for parents who try to excuse a teen’s irresponsible behavior. We demand that owners of the cars that are involved in collisions along Interstate 85, Georgia State Route 17, 154 Northbound, or any federal, state, or county road be held accountable for the misconduct of anyone who drives their vehicles. Our results speak for themselves. We have a track record of helping Georgia residents get the strongest recoveries possible. Texting while driving is, perhaps, the most serious type of driver distraction because it is easy for the driver to get lost in what he/she is typing. With texting, the driver’s vision is focused fully on the texting device and one or both hands are being used to do the typing. To address this serious type of driver distraction, Georgia law bans all drivers from texting while driving. Georgia also bans drivers under 18 from using a cellphone in any capacity while driving. Just talking on a cellphone, unless it is a hands-free device, poses a serious risk to all drivers. Drivers who are fatigued or driving under the influence of alcohol are also considered to be distracted drivers because they are not fully focused on driving conditions. We also bring claims for pain and suffering, lost income, medical expenses, scarring, and other damages against the responsible parties. The Atlanta and Savannah distracted driving accident lawyers at Harris Lowry Manton are known for having obtained some of the top verdicts and settlements in the state. 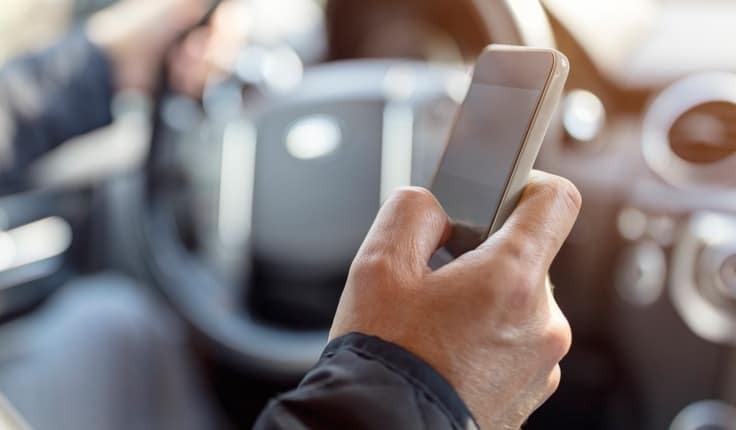 In distracted driving cases, our Atlanta and Savannah car accident attorneys work with investigators, conduct extensive discovery and speak to all relevant witnesses to show that a driver was not focused on his/her driving. We demand punitive damages in addition to standard damages when it is clear the driver was acting recklessly. For aggressive and thorough representation, please call us at 404-998-8847 in Atlanta and 912-417-3774 in Savannah. You can also complete our contact form. Your first consultation is free.